At four months pregnant, Amina stands over large vats of beans cooking in a smoke-filled kitchen, unaware of the danger she is inflicting upon herself and future child. She is a caterer at Wamale Islamic KG and Primary School with two other women who cook lunch for 660 students every day. 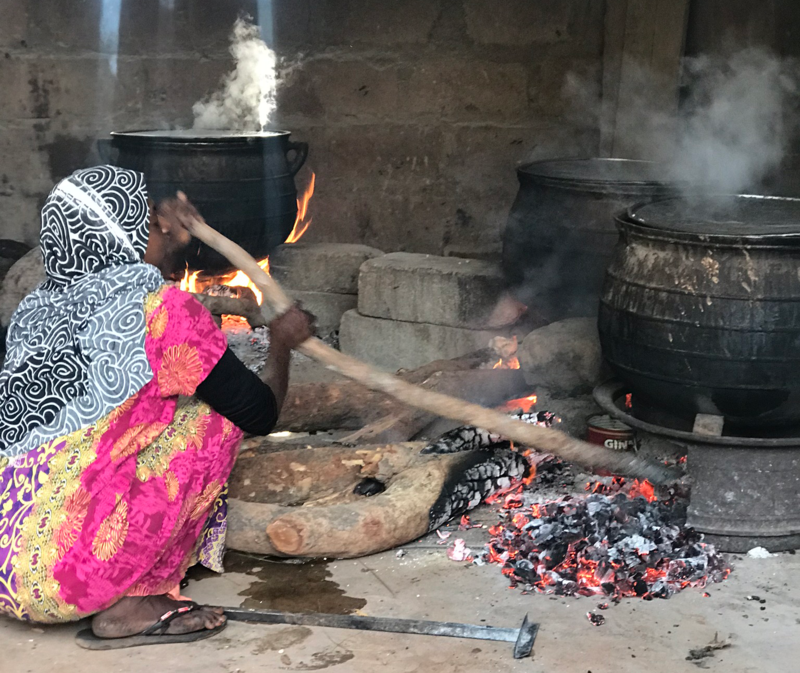 In Ghana, most school kitchens use wood or charcoal as their main source of cooking energy, often in traditional, inefficient stoves with subsequent negative impacts on human health and the environment. In response to this challenge, the Ministry of Local Government and Rural Development decided to integrate clean cooking into its long and medium-term development plans and began advocating for an intervention that would transform school kitchens with cleaner technologies. In 2015, the Clean Cooking Alliance through World Education (WEI) began implementing a program dubbed INSPOCCE (Integrated School Project on Clean Cooking Energy), to educate Junior High School students, teachers and parents on the dangers of cooking over open fires, and the existence of cleaner and more efficient solutions. Since its inception, the project has raised awareness about the negative impact of traditional cooking practices among Ghanaian youth, and provided opportunities for girls and boys to be proponents of the change as their own households transitioned to cleaner cooking solutions. However, even with education about household air pollution, most school kitchens in Ghana still rely on wood and charcoal fuels to meet their energy needs. 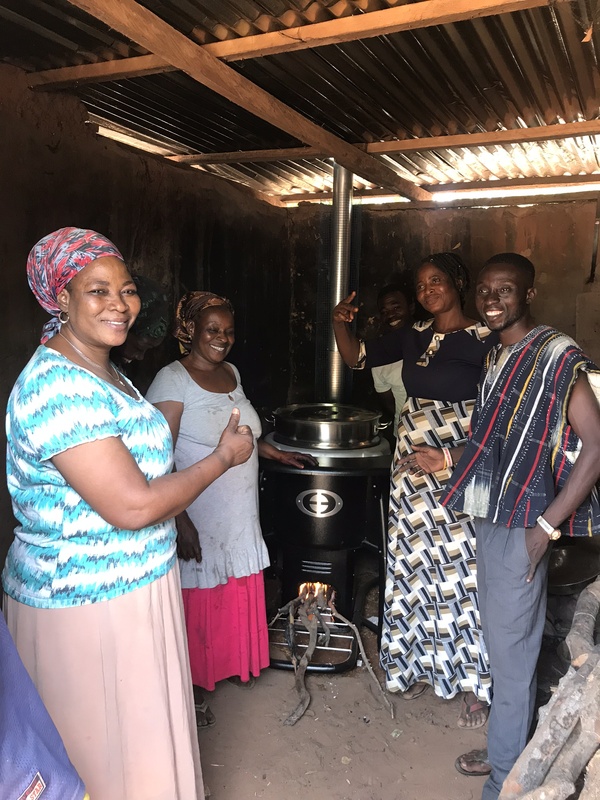 Envirofit Ghana oversaw the installation and training of its high-performance professional wood stove, the SaverPro 100 in ten schools in Nsawan and the Northern and North East Regions of Ghana. With three pieces of wood, the Envirofit SaverPro 100 wood stove can prepare a meal for 300 students in half the time, while saving up to 80% a year in fuel costs. With a fitted chimney, the stove virtually eliminates smoke and toxic emissions creating a cleaner kitchen environment. 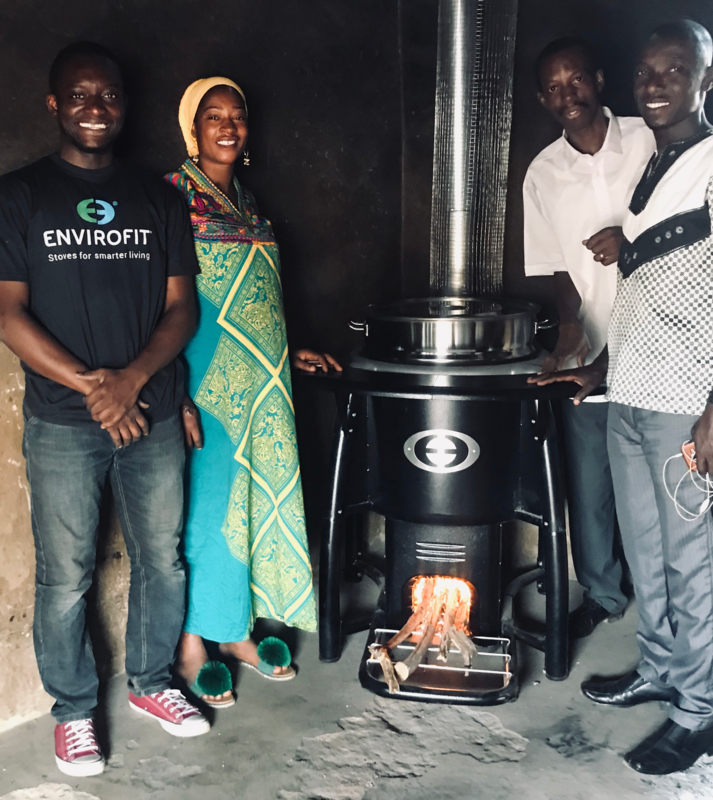 Envirofit delivered and installed the stoves and trained school administrators and cooks on the proper use, safety, and maintenance of the stove. 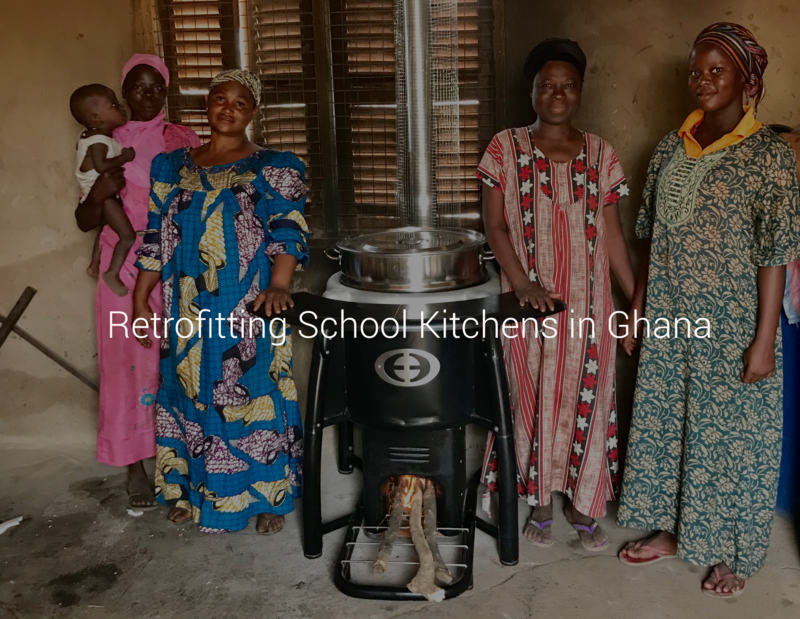 Emmanuel Osae-Nyarko, a Manager at Envirofit Ghana completed an installation at Jisonayini Islamic KG and primary school where four women cooked for 900 students, over large tire rims, in an environment so smoky they couldn’t enter the kitchen. They found it difficult to cook in the smoke and heat and would stand outside to cook and run inside to check on the food. Cooking this way would take them between 4-5 hours to cook a meal. When Emmanuel came to the school, he had to move the stoves outside to even complete the installation. After retrofitting the kitchen, the women went back to work. “Their initial reaction was excitement because they couldn’t see smoke in the kitchen once it was lit. When we did the water boiling test, they saw how much less firewood was used (only 3 small sticks), before the introduction of Envirofit SaverPro 100, they used to use three large logs to get the same amount of water to boil. They could come close to the stove because they couldn’t feel the heat from the fire and check on the food more frequently and as a result cook more quickly. They didn’t have to worry about their eyes tearing from smoke.” Said Emmanuel. It’s been a month since the installation in the schools and they are still using the product every day with a drastic reduction in firewood consumption. The Clean Cooking Alliance, WEI and the Government of Ghana are in the final evaluation of the pilot before recommending a plan to scale the program nationwide. Amina, still in her pregnancy, is happy to have the new stove. She spends less money on firewood and doesn’t have to work as many hours on her feet all day. She enjoys cooking in the smokeless environment. Her mind is at ease knowing that her future generation will benefit from the lack of smoke from the use of these clean technology.